Elizabeth “Betty” Marie Deason, 91, a lifelong resident of Tiffin, passed away at 11 a.m. Monday, March 18, 2019, joining the love of her life, Virgil Deason. She was born July 31, 1927 to Ralph and Pauline (Siegrist) Smith. She married Virgil Deason on April 4, 1947 in Kentucky. He preceded her in death in 1987. She is survived by her four daughters, Julie (David) Duesing of Michigan, Jeanette “Jenny” (Charles) Copeland of Michigan, Andrea (John) Joldrichsen of Ohio and Amy (Mike) Deason of Michigan; six grandchildren, Todd (Meg) and Doug (Amy) Duesing, Noel and Derrick Tichenor and Jon and Justin Joldrichsen; eight great-grandchildren; brother, Joallen (Dorothy) Smith of Tiffin; along with several nieces and nephews. She is also survived by John Gerken, a significant part of the Deason family. Betty was preceded in death by her parents; her loving husband, Virgil; four brothers, Ralph “HaHa” Smith, Donald Smith, James Smith, and Wendell Smith. Her dear friend Donald Shutt preceded her in death, September 2018. Betty was a 1946 graduate of Tiffin Columbian High School. In addition to raising her four daughters, she worked at the School of Opportunity in Tiffin for many years. Betty had a deep faith in God and was a member of St. John’s UCC. She was also an expert seamstress and created beautiful quilts. She loved garage sales and flea markets, always in search of antique treasures. Post-retirement, she learned how to carve and re-cane chairs. 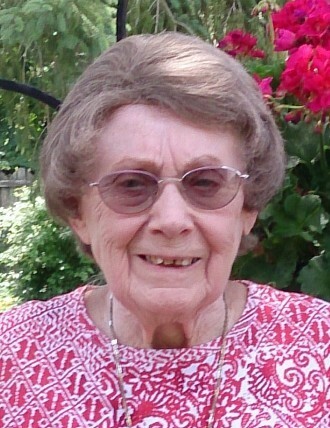 Betty enjoyed music, traveling, square dancing and playing cards. For many years, she hosted family Thanksgivings, her favorite holiday. Her most proud accomplishment besides building the family home alongside her husband (and wiring it for electricity) was the success of her children and her children’s children. In her later years, she loved her Wendy’s junior cheeseburgers and a daily trip to the Allen Eiry Senior Center, where they watched over her with loving care. The quality of her last few years was greatly improved by professional attention given to her by Comfort Keepers of Tiffin, specifically Nicole. Betty commented about how great her neighbors were, in almost every conversation. The family gives everyone who cared for Mom and watched over her to keep her safe, their greatest gratitude. A Funeral Service will be at 12:00 Noon on Saturday, March 23, 2019 at Hoffmann-Gottfried-Mack Funeral Home & Crematory, 236 S. Washington St., Tiffin, Ohio 44883, (419) 447-2424 with Rev. Eric D. Rummel officiating. Burial will be at a later date in Fairmont Cemetery. In lieu of flowers, memorial contributions may be made to Allen Eiry Senior Center, Comfort Keepers, St. John’s UCC or the Alzheimer’s Association. Condolences may be signed and the guestbook signed at www.hgmackfuneralhome.com.